Make your own poultry seasoning in minutes. It's nothing more than a blend of several common herbs that you probably already have in your pantry or grow in your garden. By mixing them together yourself, you'll save money and gain an opportunity to customize the recipe to your taste. Start with this basic recipe, then tweak it to make it your own. Blend all of the spices together. Just a quick mix in a bowl should do the trick. 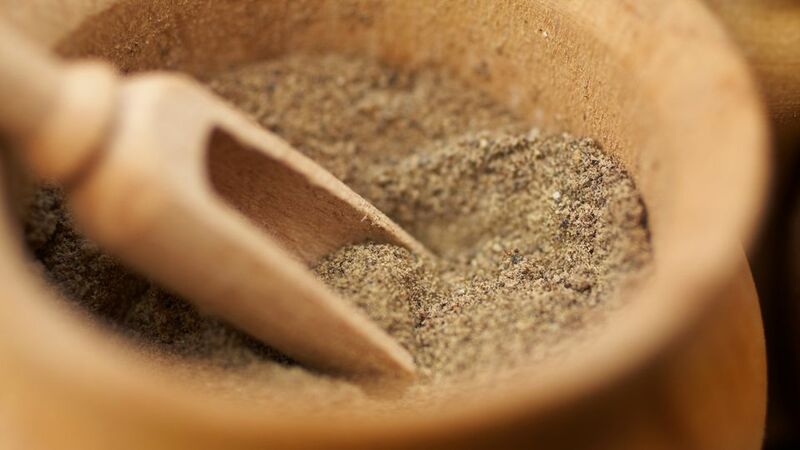 If you prefer a more powdery consistency, grind your poultry seasoning with a mortar and pestle; pulse it briefly in a food processor or grind it in a coffee grinder or spice grinder. Store your poultry seasoning in an air-tight container. A glass jar, a spice bottle or a sealed plastic bag are fine. Your poultry seasoning should keep for one-to-three years (based on the age of the oldest component). Keep it in a dry, dark, cool area to prolong its shelf life. Of course, it's always best to use herbs sooner rather than later. Be sure to label your poultry seasoning, so you don't accidentally mistake it for something else. If you don't have all the herbs listed in the recipe, just use the ones that you do have. It'll still add plenty of flavor to your turkey, stuffing, soup, or whatever dish you're adding it to. Poultry seasoning is very forgiving. Feel free to leave out any herbs form the basic seasoning recipe that you don't like, or go ahead and increase or decrease the amounts called for, so the recipe better suits your taste. There are also plenty of herbs and spices that you can add to make the recipe your own. Some to consider: celery seed, nutmeg, ginger, cayenne, paprika, coriander, basil, black pepper, garlic powder, garlic salt, or celery salt. If you have a favorite brand of poultry seasoning that you're used to buying, look at the label to see what herbs and spices they include. Then see if you can create your own version. If you want to use herbs from your garden to make your poultry seasoning, just dry them first. You can do this by hanging them upside down in a warm, dry spot, running them through a dehydrator, or drying them in an oven set at its lowest temperature. If you decide to go the oven route, watch your herbs closely so they don't burn. Considering how thin the herbs are, it doesn't take long to dry them. Homemade poultry seasoning makes a great gift, especially when it's made from herbs that you grew yourself. Bottle your blend and share it with friends and family. How Do You Make the Perfect Stock Sachet?